Hi there! If you have lost count of how many nail polishes you’ve got, chances are you also have a few gloopy polishes. But you don’t have to throw them out! You can restore them! I’m currently using Pretty’s Nail Varnish Thinner to bring some of my old polishes back to their former glory. It’s super easy. All you need to do is add two to three drops of thinner to your nail polish – and shake it. That’s it. If the polish needs a little more thinner, repeat the procedure. 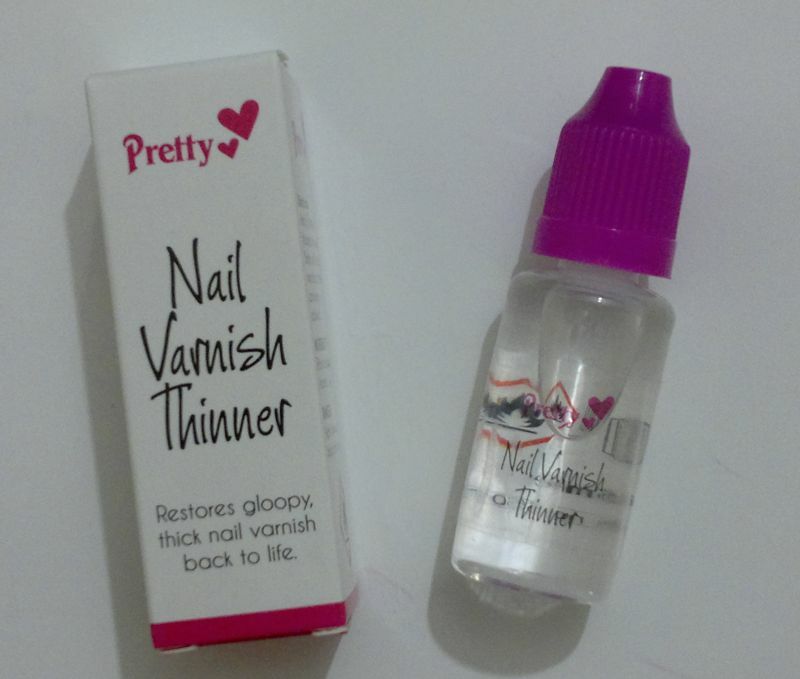 The Pretty thinner is just under £2 for a 15 ml bottle which is enough to bring dozens of thick polishes back to life. I’ve previously had a ‘professional’ polish thinner – but you don’t have to splurge. That’s because all polish thinners work the same way and they contain the same ingredients: Ethyl Acetate and Butyl Acetate – a.k.a. solvents! So if you don’t want to give up on an old favourite polish that’s gone gloopy, just get yourself some thinner! As long as the polish is only gloopy (but not dry, hard or otherwise ‘gone’), you should be able to restore it. Good luck!